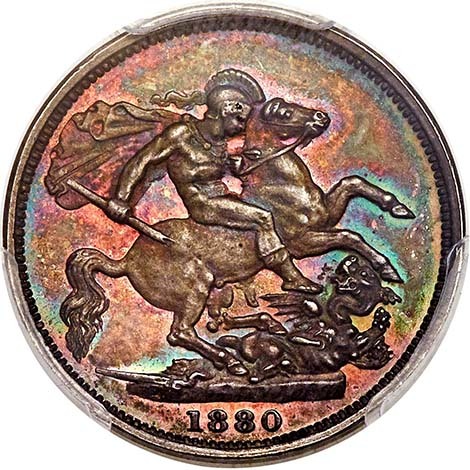 This piece is the ONLY known certified example and the ONLY known piece as well. 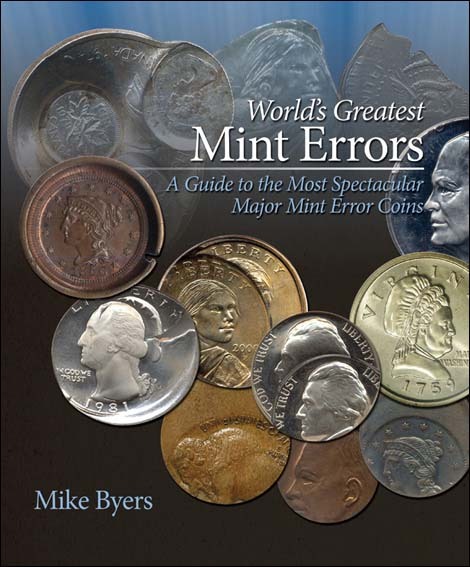 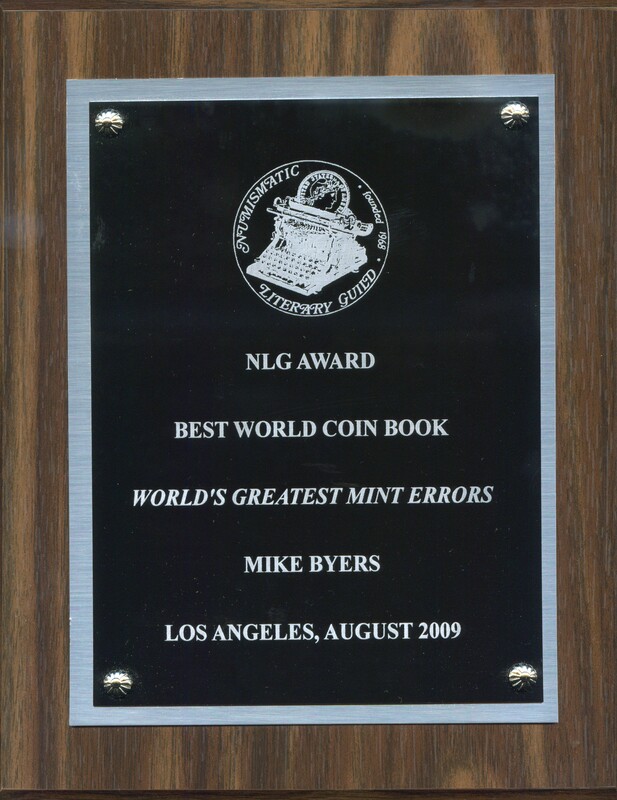 The obverse was struck from the regular obverse die intended for the Sixpence issue. 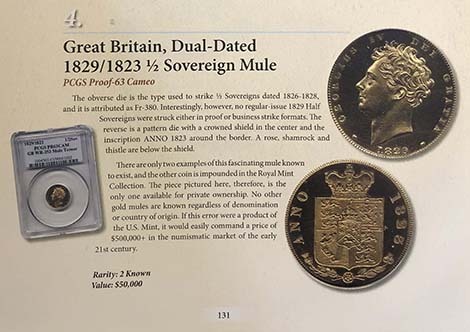 The reverse was struck from an experimental reverse die, intended for the proof Half Sovereign issue. 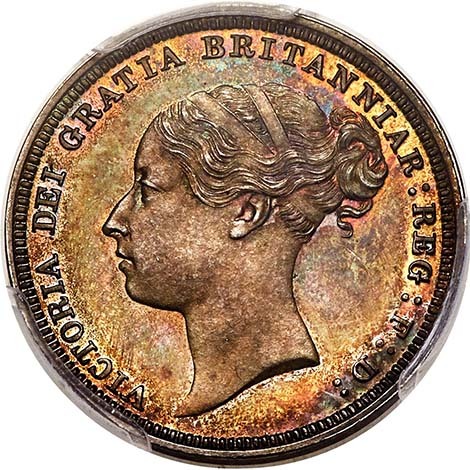 It has been preserved since it was struck and is totally original with dark and deep iridescent toning. 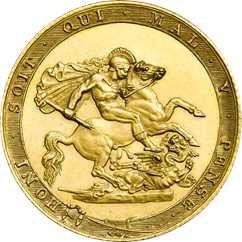 During this time period the Royal Mint experimented with different engravers who produced a few fascinating and mysterious patterns, die trials, mules and off-metal strikes. 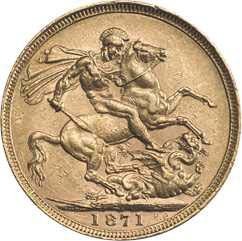 This mule combines Wyon’s depiction of Queen Victoria (the adopted design for the Sixpence obverse) with Pistrucci’s iconic scene of St. George slaying the Dragon (reverse exactly as it was adopted and used in 1817). 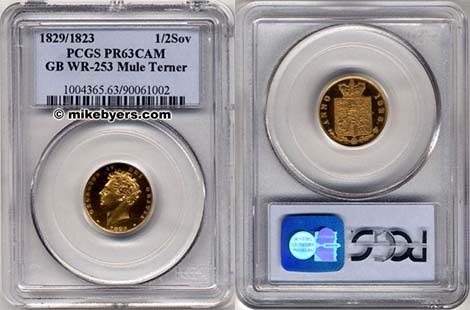 Recently I sold a different Great Britain Gold Half Sovereign Mule. 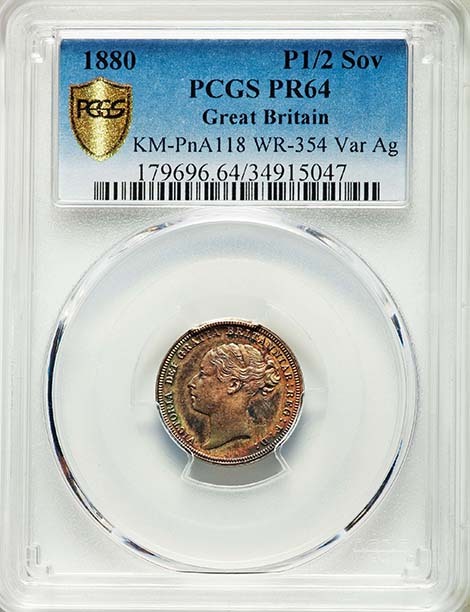 It also is one of two known and was muled with a 1829 obverse die with a 1823 reverse die.